Today for a change of pace I decided I should have a look at some of the scale models that other people have created. Sailboat model that I posted recently has taken a lot of my time for the past few months, and I don’t really have anything else that recent which I can brag with. 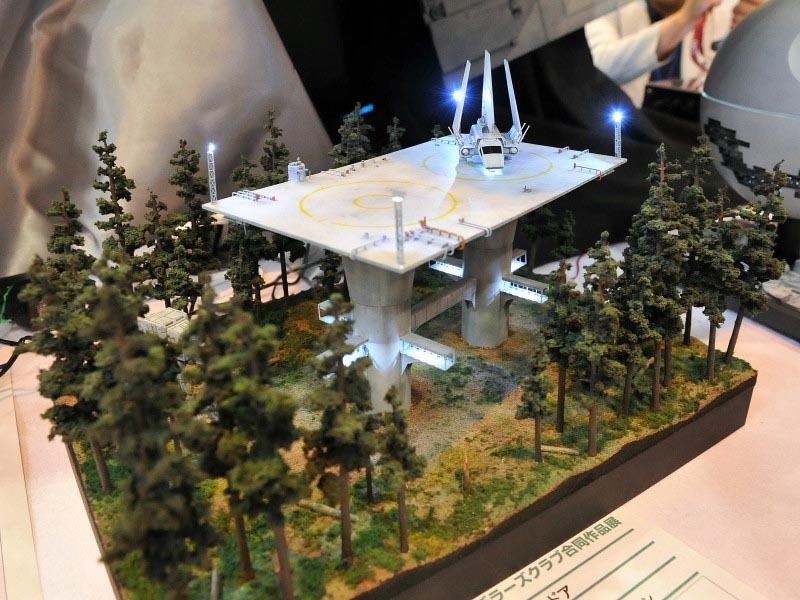 However, seeing how I’m still under the influence of Star Wars – The Last Jedi that I watched recently, I wanted to see what kind of Star Wars themed scale models exist out there. Let me show you my favorite. You know how much I love sets, so I looked up any kind of scale models that are complete sets from the Star Wars universe. This down below was only one that I could find that I liked. What can I say, I love my greenery in scale model sets. The Star Wars fighter looks very good and I have to say that the lights are a super nice touch. Trees could be done a little bit better. It seems to me that they could use a little bit more detail. Also I would like to see the set be a bit bigger. This way too small for my taste, it should be bigger. Everything else is top notch, don’t you think, kudos to the original builder.